Code is written for human readability. Rectangular data in R is best managed using the data.frame formatted as a tibble. The tbl_df data class or tibble is a data.frame that provides stricter checking and better print formatting than the traditional data.frame. Geospatial data sets are best managed using sp object classes. The sp data classes include spatial points, lines, polygons, and grids…all of which contain 2D and 3D location information. Both data classes will cover the majority of analysis needs. Writing code that is simple, efficient and readable should be easy to achieve….but is contradictory in nature. For example, coding the nested expression f(g(x)) is very efficient, but may not be simple and readable, especially when each function is complex or involves nested loops and iteration. In response, the infix operator %>% known as “the pipe” was created. 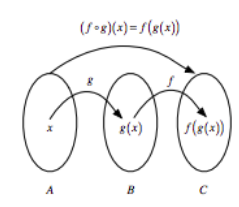 Coding with the pipe serves to decompose nested functions into sequential steps like x -> g(x) -> f(x). Code flow is simplified using pipes and the transparency of steps is often more clear. sort the mean results in descending order largest to smallest. The example function is simple in nature and the code chunk is efficient. However, the nested code is not simple to read, complicating broad collaboration and code maintenance. The code is shorter and easier to read. In summary, the the pipe is a valuable tool for calling any function. Use R’s indexing or vector operations to abstract away from for() and while() loops. The apply() family of functions in base R and the various map() functions in the purrr package are the core tools for this purpose. For example, the following code shows a classic “split-apply-combine” strategy that avoids the use of loops. First, the data is split into groups. Next, a linear model is applied to each group and summary stats estimated. Finally, the results are combined for each group. The example shows functional coding that is efficient and easy to read, while avoiding the use of for() or while() loops. The code also uses less overhead and is much faster than loops, which is essential when working with large data sets. Functional programming with pipes will always be easier to read than nested functions or iteration based on loops.